Of bringing simply the best to its customers. 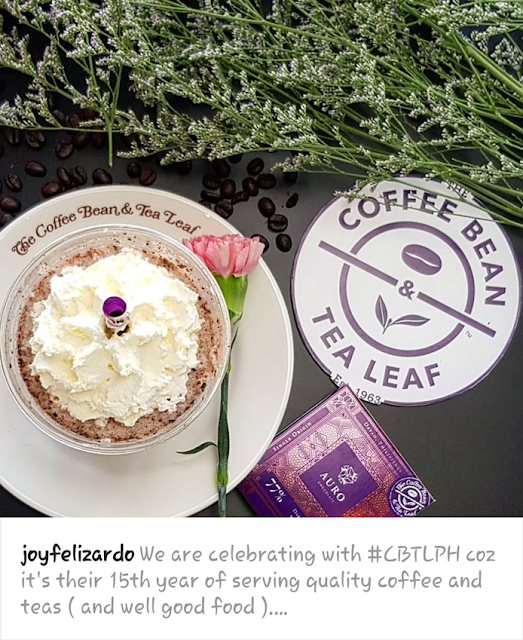 The Coffee Bean & Tea Leaf® remembers all the moments and memories they’ve shared with the people who have been a part of their story here in the Philippines, hence a celebration. It was when they opened their first cafe and brewed their first coffee in Brentwood, California back 1963, coffee drinking was transformed. The Coffee Bean & Tea Leaf® is now one of the oldest and largest privately held specialty coffee and tea retailers in the world. Since, they have always been passionate about connecting their loyal customers with carefully handcrafted products. Though they travel far and wide to discover the flavors you love, they always bring it home. Delivering the look, taste, and aroma of the world’s best coffees and teas is what they do best, and every sip should take you to the corners of the earth where each flavor was cultivated. They aim higher than the standard, selecting only the top 1% percent of specialty grade Arabica beans and the top two leaves and a bud of the finest hand-plucked, whole leaf teas. The company prides itself of its direct relationships with growers and individual farms and estates to be assured of the best coffee and tea harvests available. A brand centered around passion, their story began when Herb Hyman, once called the “grandfather of specialty coffee in the U.S.” brought the concept home and helped turn it into the phenomenon it is today - taking coffee from a basic commodity to a full-on cultural occasion. Since then, The Coffee Bean & Tea Leaf has had a history of breakthroughs in beverages such as the Original Ice Blended back in 1987, even before frozen coffee was a craze. It is simply in their nature to constantly push for the freshest and most innovative products all over the world! It was in the late 1990s that the brand expanded outside Southern California. Today, they are present in over 30 countries all over the world, honoring relationships with their farmers, people, communities, and their guests. And this year, they tuck another milestone under their belt as they celebrate 15 years in the Philippines. To date, since opening its first store in Greenbelt in 2003, it has over 100 stores and growing, a number they are grateful to have the privilege to grow through the support of the community through the years. 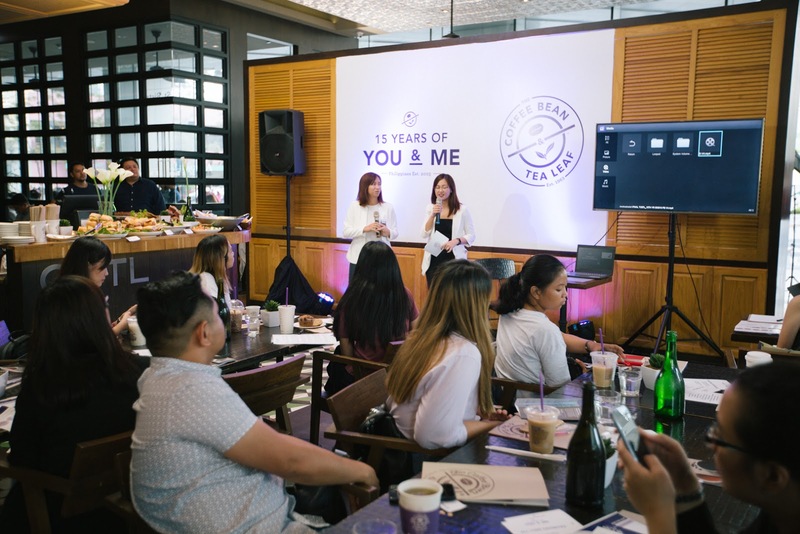 You and Me campaign by highlighting the brand’s origin, and journey in the Philippines centering on heartwarming memories – from early mornings, late nights, to memorable personal experiences and moments that happened over a cup of their favorite coffee or tea. At the anniversary event, The Coffee Bean & Tea Leaf also gave guests a taste of what they have in store for their customers to mark their 15th year. 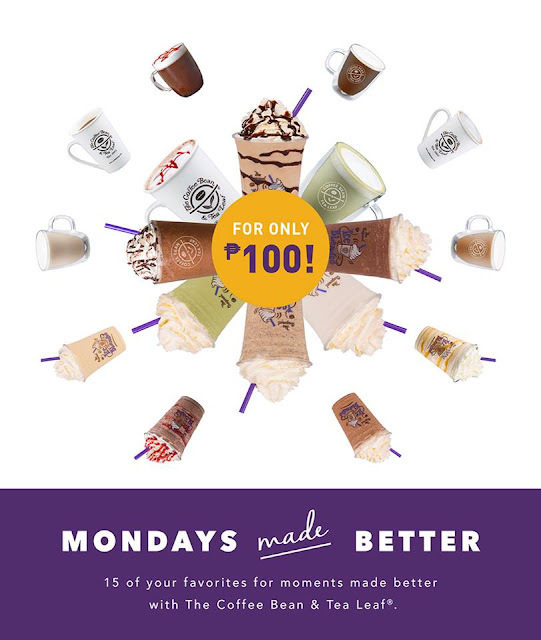 As a special treat, The Coffee Bean & Tea Leaf brings back their well-loved Mondays Made Better promo, which started last April 23 and will last until June 30, 2018. During this period, guests can enjoy their favorite drinks or try new flavors every Monday for only Php 100. What’s more, in the coming months, new and exciting surprises are ahead as The Coffee Bean & Tea Leaf takes on new partnerships and launches fresh flavors through their beverages. To know more about the campaign, visit The Coffee Bean & Tea Leaf (Philippines) page on Facebook.